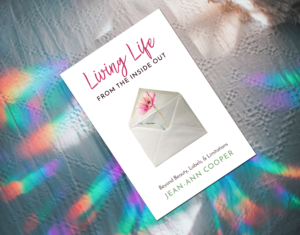 In Bronnie Ware’s book, “Top 5 Regrets of the Dying”, the #3 regret was “I wish I’d had the courage to express my feelings.” She added that many people suppressed their feelings in order to keep peace with others. Many developed illnesses relating to the bitterness and resentment they carried as a result. Lots of folks shy away from difficult conversations. Thankfully, I’m not one of them. At least not anymore. The cost of dodging those conversations is far too great. In the end, everyone ends up miserable. This is one of Stephen Covey’s “7 Habit of Highly Effective People” and it is a critically important one! Decide what your desired outcome is and then work toward that end. It’s like traveling. Get out your map and decide where you want to end up. Don’t just go headlong into a big fat confrontation without clearly knowing your desired outcome. 2. What assumptions are you bringing to the table? Think this through completely. Are you coming to the table with the truth? Or are there unanswered questions that are causing you to assume too much? 3. What part of this conflict do you own? There’s no such thing as a one-sided conflict. Own your part of it. It’s the fair and right thing to do. More importantly, be vulnerable enough to disclose your role in the issue. 4. Listen first. Then talk. Seek to understand, then to be understood. Communication is tricky. We are notorious for listening in order to react – not respond. If you haven’t actually heard what another is saying, you can’t respond effectively. Do yourself a favor. Stop talking. Start listening. 5. If at all possible, have the conversation in private. Out of respect for the other person and the issue at hand, don’t subject either one of you to public humiliation, even if it’s with close family members and friends. There is absolutely no good that will come from it. 6. Protect the relationship at all cost! If you enter into a conversation needing to win, you may end up paying a higher price for that victory than you can afford. Speak the truth in love and let your light shine bright!! Jesus says in Matthew 28:18-20, “Then Jesus came to them and said, “All authority in heaven and on earth has been given to me. Therefore go and make disciples of all nations, baptizing them in the name of the Father and of the Son and of the Holy Spirit, and teaching them to obey everything I have commanded you. And surely I am with you always, to the very end of the age.” This article is an example of “teaching them to obey”. Thanks! Thanks Jo. Thank you for mentoring and loving me on my journey! I love you to bits! Love your posts Jean-Ann. They always seem to be just what I need to hear! I am having a hard time making sense of this! I was following a thread regarding Bronnie Ware’s “Top Five Regrets of the Dying”, and found your blog. You were focusing on #3, “I wish I’d had the courage to express my feelings”, and then you followed it with a “list that might help you have the dreaded conversation”. You punctuated #6 with an exclamation mark “Protect the relationship at all cost!” I cannot figure out which then would be the biggest regret? Not expressing your feelings OR losing a relationship? Because many times in life, to express your feelings, no matter how delicately, is to risk the relationship. Thanks for your response……. I’m happy to explain. I believe that honestly expressing your feelings doesn’t have to mean the relationship is over. In fact, being open and honest is the bedrock of any healthy relationship. I emphasize “healthy”! Protecting the relationship at all cost is more about letting go of our NEED to win. If we intentionally enter into a “win-lose” battle with a friend or family member, someone’s nose is gonna get bloodied and the original intent to express one’s feelings turns into an ugly altercation. This is where the conflict management professionals would suggest that we ‘agree to disagree’. We don’t have to end a relationship in order to be true to ourselves and our convictions. In order to be fair, we also need to allow the other person to express their feelings. That said, there’s no guarantee that if we do all we can to protect the relationship that the person on the other side feels the same way. Sometimes they just walk away. That’s a sad moment, I know. Some relationships end. It’s my prayer that the healthy ones live.